Counseling Santa ClaritaYou Can Flourish! 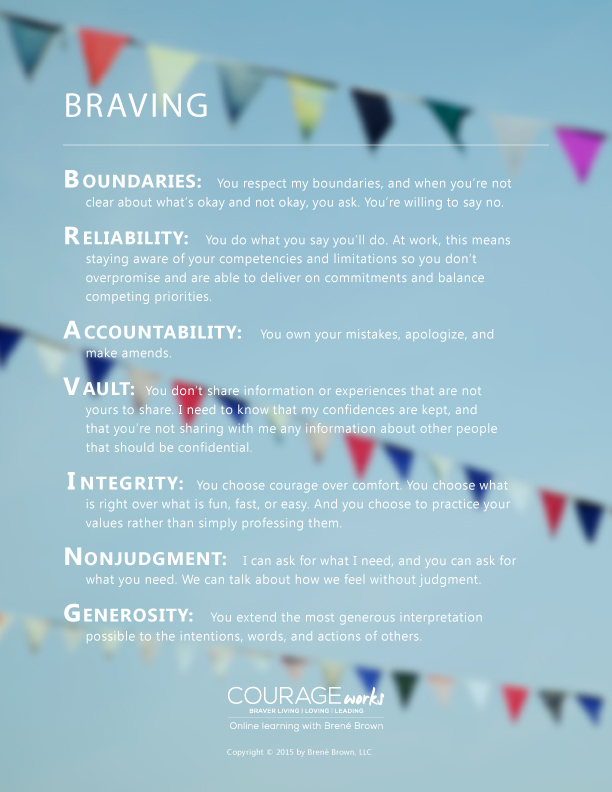 BRAVING BOUNDARIES: You respect my boundaries, and when you’re not clear about what’s okay and not okay, you ask. You’re willing to say no. RELIABILITY: You do what you say you’ll do. At work, this means staying aware of your competencies and limitations so you don’t overpromise and are able to deliver on commitments and balance competing priorities. ACCOUNTABILITY: You own your mistakes, apologize, and make amends. VAULT: You don’t share information or experiences that are not yours to share. I need to know that my confidences are kept, and that you’re not sharing with me any information about other people that should be confidential. 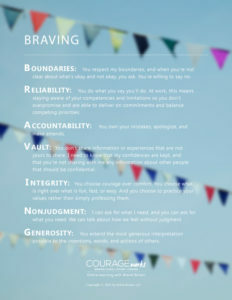 INTEGRITY: You choose courage over comfort. You choose what is right over what is fun, fast, or easy. And you choose to practice your values rather than simply professing them. NONJUDGMENT: I can ask for what I need, and you can ask for what you need. We can talk about how we feel without judgment. GENEROSITY: You extend the most generous interpretation possible to the intentions, words, and actions of others.